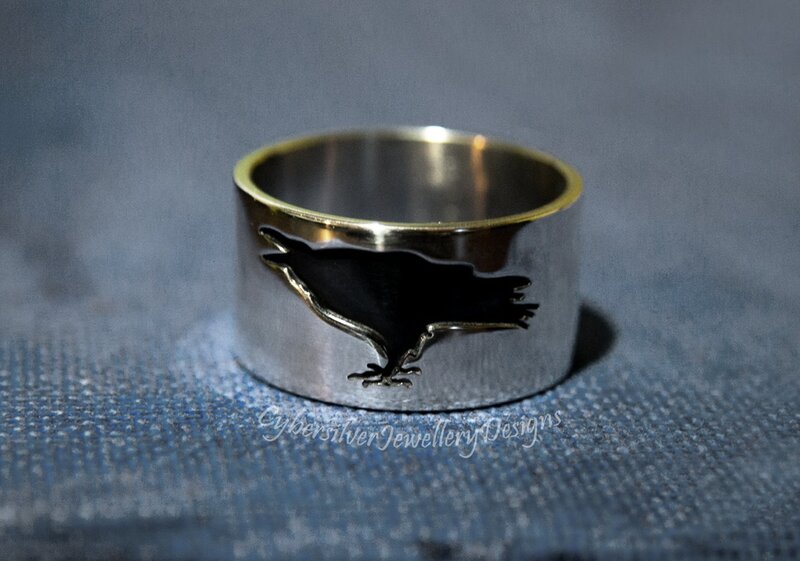 This unique raven ring features two ravens - a cawing raven on one side and a soaring raven on the opposite side. The ring is formed from thick sterling silver with the recessed ravens oxidised and the rest of the ring polished to a high shine. The oxidised silver has been waxed with a microcrystalline wax to help protect the oxidised surface. 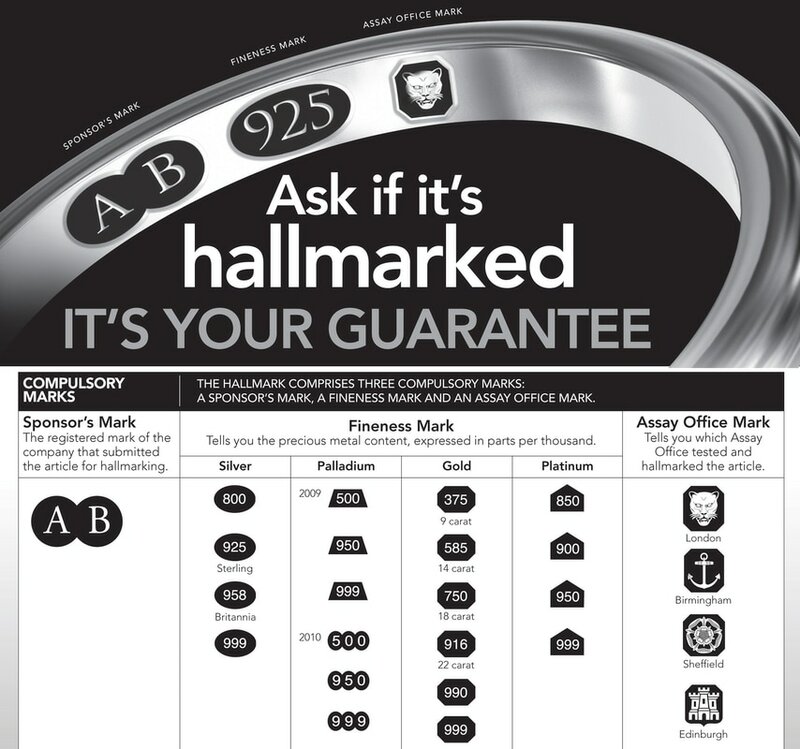 Oxidisation is a surface treatment that can continue to lighten with wear. 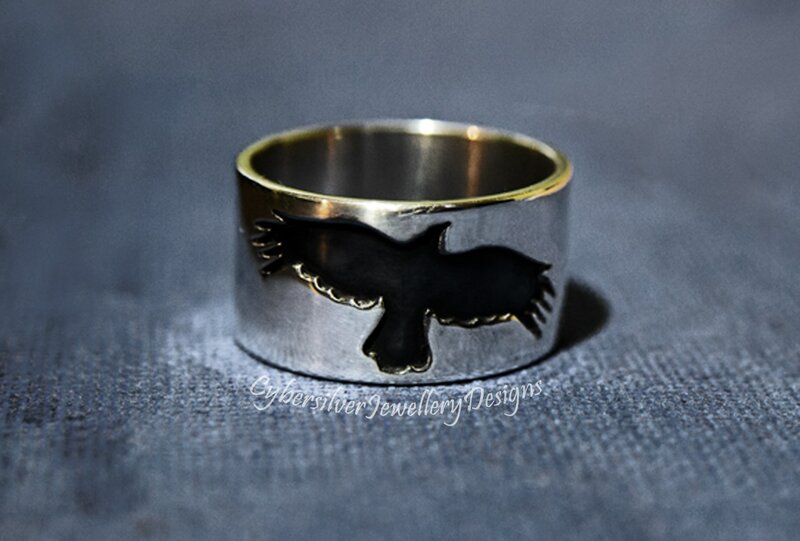 This ring is inspired by the many ravens and crows I love to see when I walk my dogs around the grounds of medieval Broughton Castle, which is very near to where I live. They are such majestic and characterful birds and my absolute favourites.